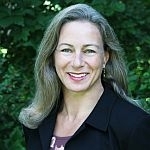 (HOST) Commentator Bea Grause has been thinking about how the technology revolution will change our health care system. (GRAUSE) I find new technology, and social media in particular, fascinating. It’s like a cyber stew of applications that provide us with exciting and unending options for communication and entertainment. People the world over are scrambling to stay ahead of this curve and are finding ways to co-opt it for their own business gains. Corporate blogging, instant polling and on-line customer service chat windows are just a few examples. And I’m learning that technology is also changing the world of health care. For starters, consumers now have new tools to help them stay in charge of their health. I emailed my physician a question the other day and was amazed to get an answer back faster than I would have if I had called the office. The internet has turned my home into a limitless library of information where I can access medical research, webinars and other on-line educational programs from the comfort of my living room. I can even schedule appointments online and have reminders sent as text messages to my phone. Physicians and other health care providers can now get up-to-the-minute information, test results and even x-rays on line, to help them more efficiently and safely care for their patients. Even video games are getting in on health care reform. Nintendo’s Wii provides many of our local nursing home patients with low-impact virtual exercise such as tennis, bowling and dance. From what I hear, patients are getting many of the physical and social benefits – without the worry of hurting themselves by throwing a 6 pound bowling ball. Instead of physical rehabilitation, they call it Wii-habilitation. Out of the box solutions like these will become essential as 76 million other baby boomers – including me – begin to require additional health care services over the next few decades. Finally, these new techno-tools could very well transform the nature of the debate on national health care reform. For example, new instant polling methods could allow the general public to weigh in on health care reform discussions that once were reserved for congressional leadership and Washington lobbyists. And social media sites like Facebook are already being used to link public figures with key issues like health care reform. That includes President Obama, who by the way, now has more than 6 million Facebook friends and supporters. Direct consumer participation through new media channels, could help tip the scales toward a paradigm shift in Washington politics. Change won’t happen overnight, but with these new tools, plus a hefty dose of political will and leadership at all levels, we may be getting on a faster track to fix the nation’s health care system – and at the same time – our own.